Although the movie title is Batman V Superman, who steals the show is, without a doubt, Wonder Woman. Inspired by the beautiful features of Gal Gadot and imposing costume that she uses on screen, I decided to represent the character on canvas. Hope you enjoy it! Oil on canvas, 40x60cm. Although the movie title is Batman V Superman, who steals the show is, without a doubt, Wonder Woman. 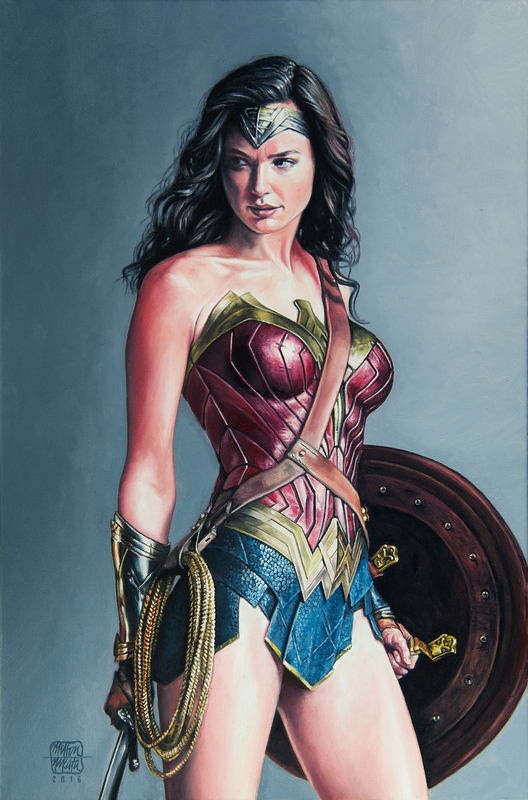 Inspired by the beautiful features of Gal Gadot and imposing costume that she uses on screen, I decided to represent the character on canvas. Hope you enjoy it!